September is Baby Safety Month, an event sponsored annually by the Juvenile Products Manufacturers Association (JPMA) to help raise awareness and educate parents and caregivers about the importance of choosing appropriate and safe products for infants. Taking action to protect your child from safety hazards can make a big difference in avoiding preventable injuries. Every year in the United States, approximately 9.2 million children ages 0 to 19 receive treatment in emergency departments for non-fatal unintentional injuries, according to the Centers for Disease Control and Prevention. Particularly when it comes to small children and babies, it’s often surprisingly easy for kids to get hurt accidentally. Luckily, there are preventive steps parents can take to keep their kids safe. Here are five essential baby safety tips to keep in mind. 1. Think like a baby. If you want to babyproof your home effectively, it helps to think and act like a baby, according to the JPMA. That means literally crawling around and looking at potential hazards (e.g., cords to grab or electrical sockets to play with) from your baby’s perspective. 2. Stay up-to-date on current safety standards and product recalls. Make sure that you do research on products that you buy for your baby, such as strollers, walkers, and car seats. Only buy things that are appropriate for your child’s age and developmental level, and make sure they meet current safety standards, the JPMA advises. Additionally, it helps to register your products with the manufacturer and keep an eye/ear out for any recalls or warnings. For instance, we previously blogged about the hazards of Bumbo seats, which the United States Consumer Product Safety Commission and Bumbo International Trust of South Africa warned parents and caregivers about. 3. Set aside a weekend to baby-proof your house, room by room. To ensure your home is truly safe for babies, you might want to set aside an entire weekend for babyproofing, one room at a time, according to Parents.com. The site includes a guide for evaluating potential safety hazards in the bathroom, kitchen, nursery and more. 4. Make sure you know how to use your child’s car seat properly. Basic care seat safety knowledge is a must for all parents and caregivers of young children. 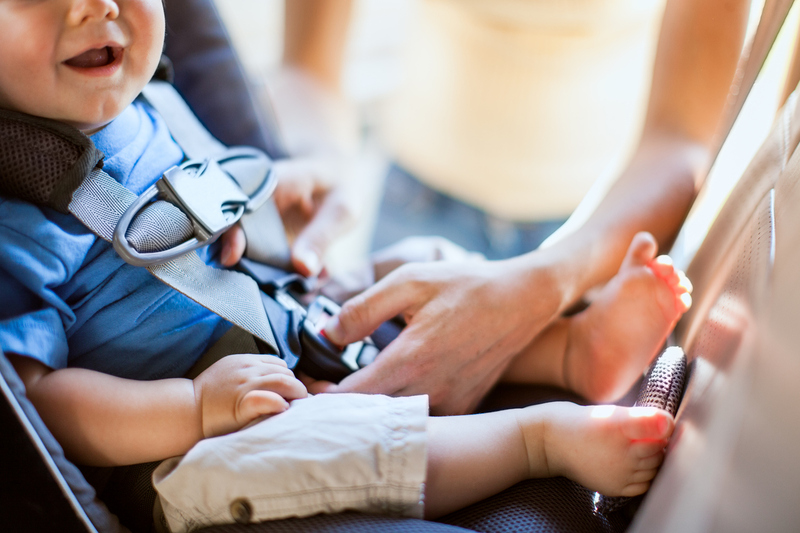 Safe Kids Worldwide provides this handy checklist to help you ensure your baby is properly protected (e.g., the car seat has all of its parts and has never been in a crash before). 5. Check your water heater. It’s important to pay attention to small details like water temperature. To prevent water that’s too hot from burning your baby, you should set your water heater to 120 degrees Fahrenheit, according to Safe Kids Worldwide. If you’d like to learn more about keeping your children safe, happy and healthy, don’t hesitate to contact our team of pediatric professionals. Our therapists provide compassionate and comprehensive care to children of all ages. To learn more, please call 847-707-6744 or email info@littlestepspt.com.